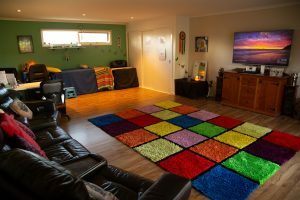 Upon completion of this Adult Reiki Level 1 workshop you will be eligible to receive FULL Certification Usui Reiki Level 1 in this one day, personalised workshop held in Langwarrin. Tickets will be available from November 1, 2018. As with all of my Reiki Workshops, a percentage of ticket sales goes to a local charity (10% for Adult Reiki Workshops and 5% for Kids Reiki Workshops. Emphasis in this workshop will be placed on experiencing Reiki through conducting and receiving Reiki Healings. Participants will receive 4 Reiki Level 1 Attunements in Usui Reiki. Total cost of this workshop is $180 with a $50 non refundable deposit due by February 28th to secure your place. Cost includes Reiki 1 Workbook, Reiki 1 Certificate, Afternoon tea, bottle water and snacks. For those that wish to further develop their Reiki Skills and undertake Reiki Level 2 (Practitioner Level) I will be offering a Reiki 2 Workshop in May this year. This Reiki 2 workshop incorporates Usui Shiki Ryoho AND Newlife Reiki Siechim and will run over two separate days and two seperate weekends (total of 11 hours). A minimum number of 4 participants is required for this workshop to run. If this number is not reached then the workshop will be cancelled and full refunds will be issued. If you need to cancel, advance notice is needed to refund payments. A minimum of 12 hours is requested and a full refund will be issued (or transfer of funds to another event) if I can fill your spot.If your spot cannot be filled then no refund can given. (Special Considerations may apply to some participants so please do not hesitate to contact me with any concerns). For more information please call me on 0401 561923. For tips and strategies on how to manage your stress and anxiety, latest blog, upcoming workshops and subscriber only specials. Rainbow Light Therapies strictly adheres to the HCC Code of Conduct. This code includes compliance with current privacy laws – protecting your personal information.